We present 23 garden design ideas with designer flower pots, planters and planter boxes that can refresh both the exterior and the interior. At the same time we shall review the advantages and disadvantages of the different materials. 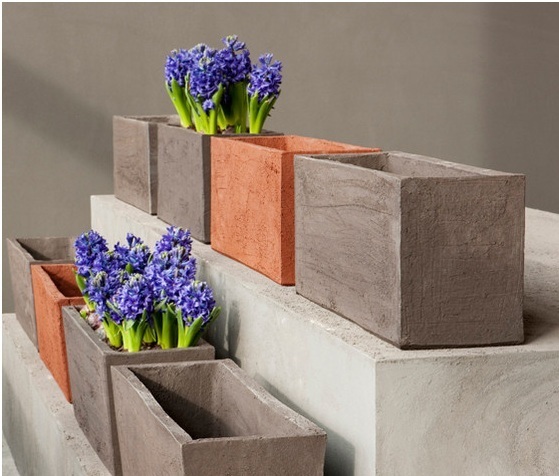 Handy for hobby gardeners are the flower boxes made ​​of wood and concrete from the company Tradewinds. 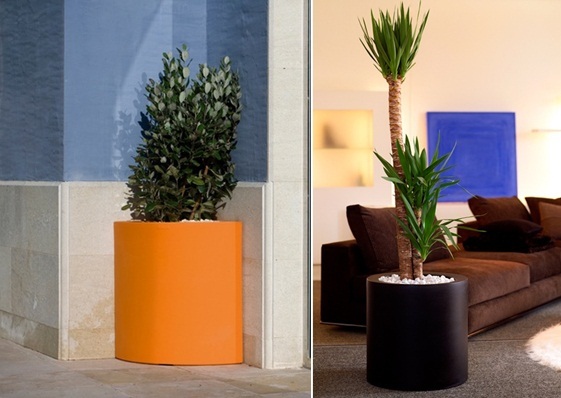 The biggest advantage of design is the height – you do not need to bend to reach the plants. Practical as a decoration, for example, in the kitchen or on the balcony. Anyway, the flower boxes have a major drawback – they are usually very heavy and can not be moved. 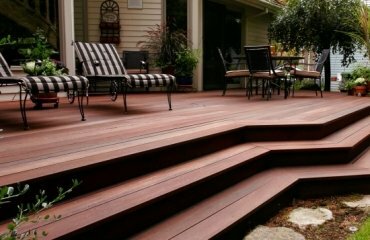 More garden design ideas can be found below. 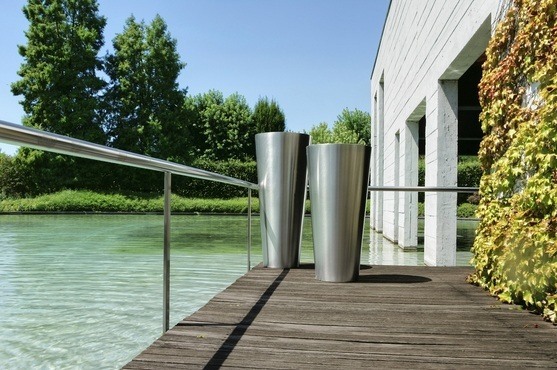 The designer flower pots by Phase Design, made ​​of metal and fiberglass can be converted easily and are convenient both for the garden, as well as for the interior. 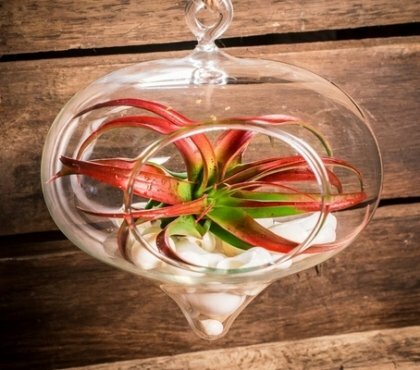 Practical and modern, so you can enjoy exotic plants all year long. 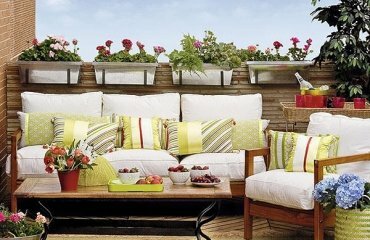 Look at the inspiring garden design ideas and find your preferred flower pots and planters. 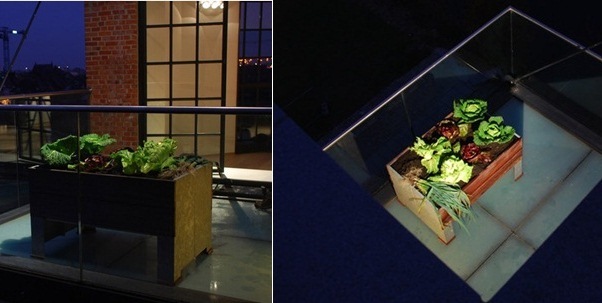 The glowing flower pots combine lighting and planter in a design, and can be hung on the wall. Choose a simple design in white color – as in this example by Serralunga. 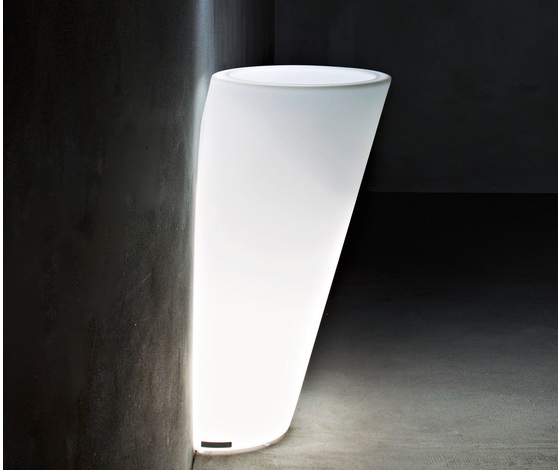 Illuminated flower pot – white or colored? 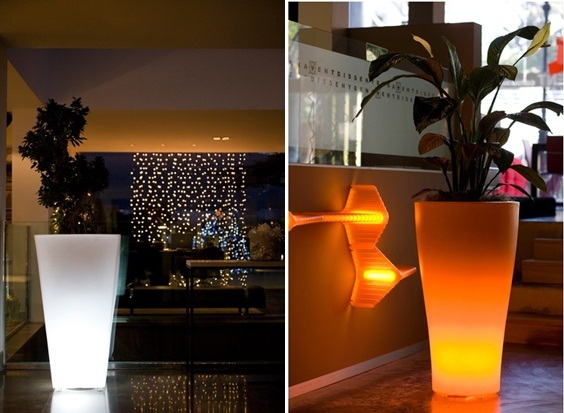 The innovative Spanish brand Vondom presented illuminated flower pots for decoration ideas for garden in two options – orange and white. 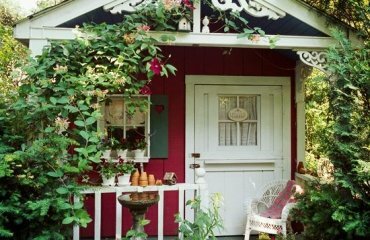 If you have any other decorations in the garden, you can opt for bold colors. Perfect as a decoration beside the pool. 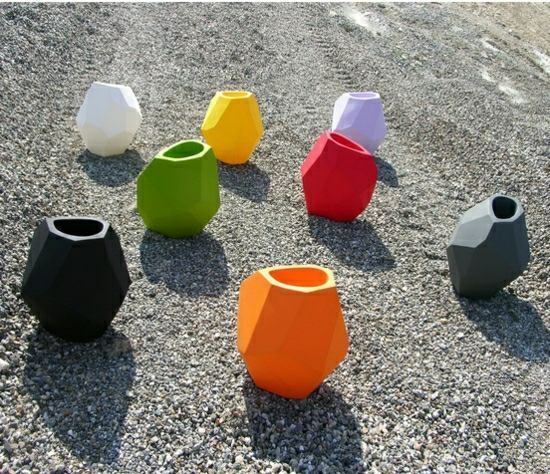 Vondom presented planters made ​​of plastic in different colors and shapes. Perfect for palm trees and small trees, and a great addition to the interior, or fresh ideas for garden. 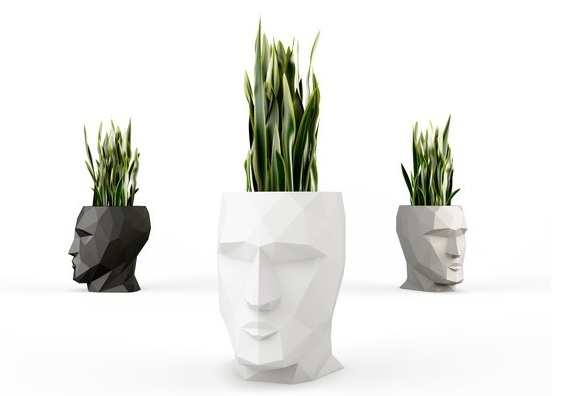 Vondom presented an innovative design, with the name Adam and Eve – two statues and vases that you can put on the table. 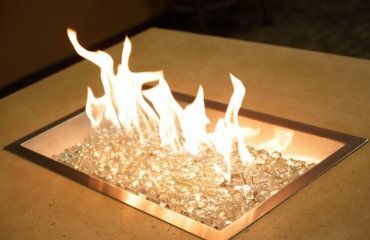 Perfect for fans of minimalism and modern and beautiful addition to any patio design. 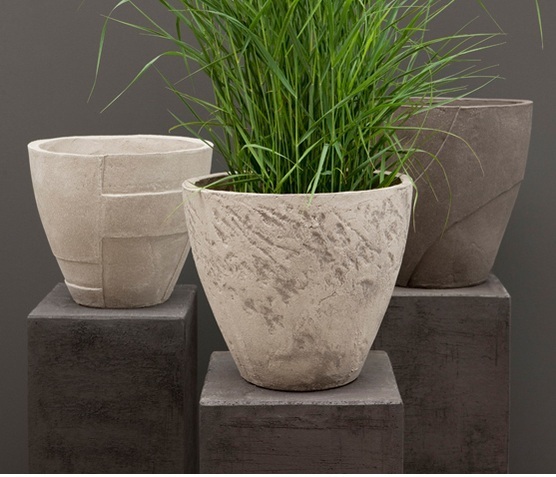 The new design by Atelier square, which we present here, are modern planters from clay. Advantage – they are weather resistant. 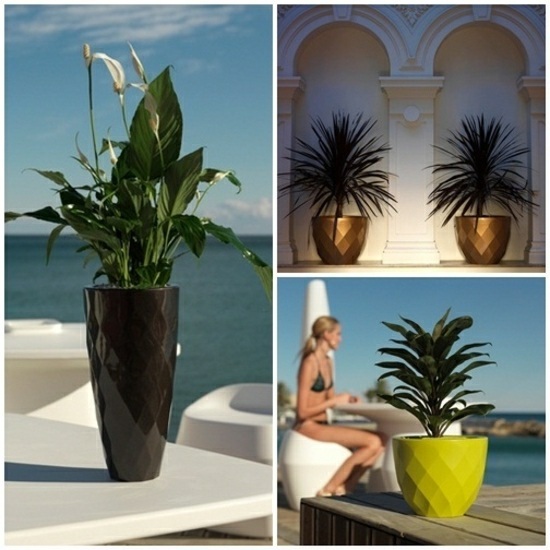 Elegant, with small ornaments and oval in shape, these planters are definitely intended for large garden and terraces. 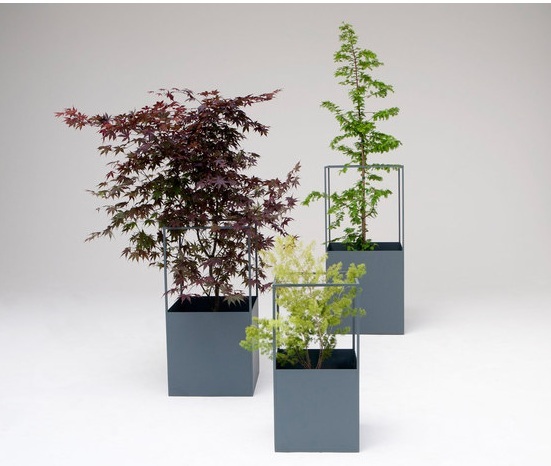 Another idea for garden design by Atelier Vierkant, are these planters for the outside. Very strong and durable, suitable for large plants – they need in any case a stable base and can be moved only with difficulty. The designer studio presented the design in two options – gray and white, which can be combined. The model is called VP and is perfect addition for the balcony. You can combine two colors, place them on the stairs in front of the entrance. Modern, with a rough look, perfect for installations in industrial chic. 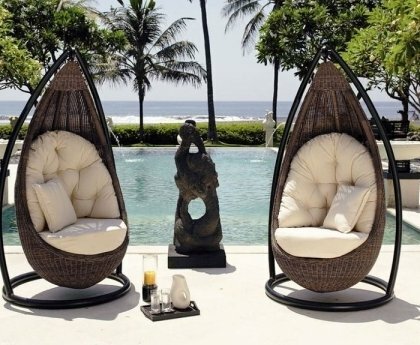 If you are after fresh ideas for your garden, try with multifunctional furniture. This design by BD Barcelona is colorful, acts joyful and may prove to be particularly useful. Combine bench and pot in one and save space in the garden. 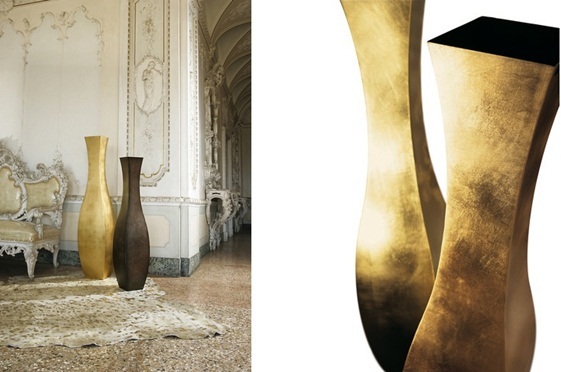 These decorative spiral floor vases made ​​of metal are perfect for the classic furnishings. They give each room a classy look and are perfect for the living room. As you might have guessed, the design is Italian – by De Castelli. 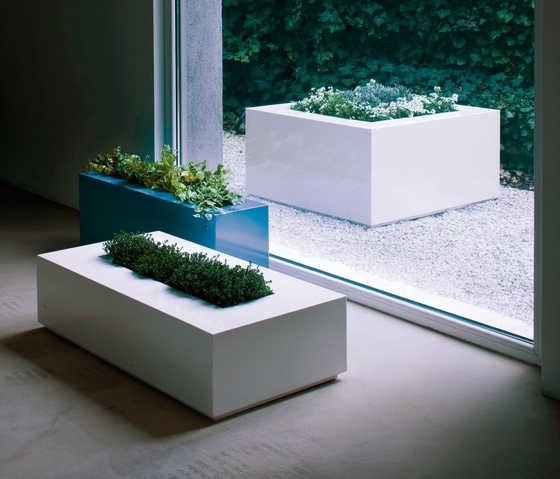 White, small planters from De Castelli, which are perfect for a small patio. 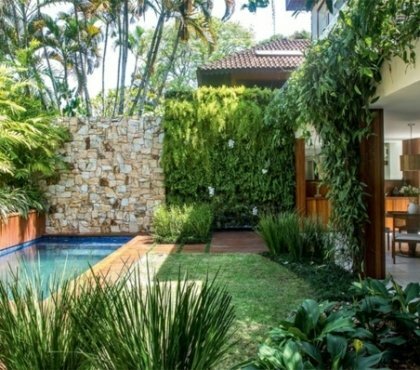 The minimalist design can be refreshed by exotic green plants. 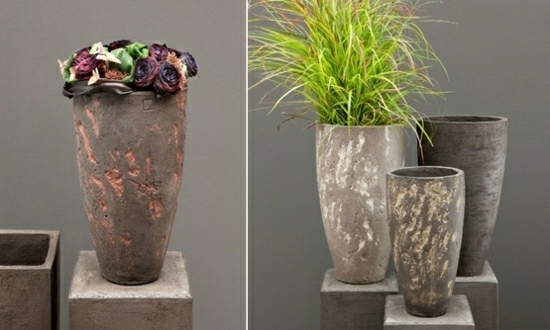 These chic flower pots made ​​of metal by De Castelli are not only fashionable, but also very practical. They are available in different sizes so that you can have a uniformity design for all potted plants. Simple and elegant, metal is currently very trendy – the shiny surface needs regular cleaning with special cleaners. Vases for the garden – yes! If they are presented in bold colors and interesting shapes. 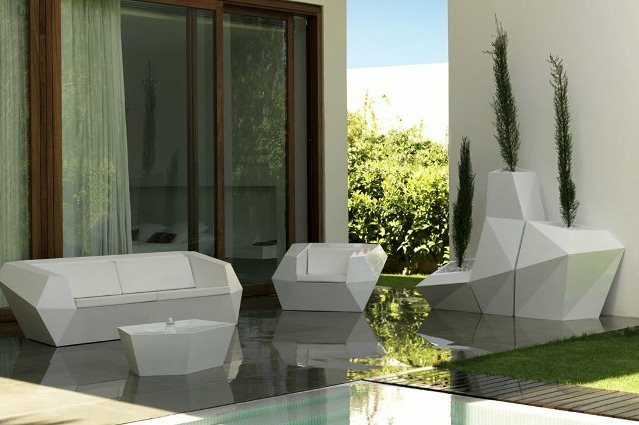 This modern idea for the garden offers an alternative to traditional designs by their minimalist forms. Vondom has developed different ideas that you can find above. Atelier Vierkant has added a rustic style to this flower pot. The design can be easily combined with a natural stone wall. Evergreen plants will decorate the pot. 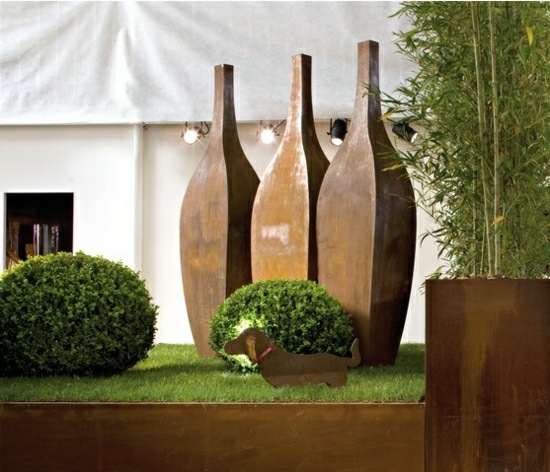 Ideas for the garden by De Castelli are always original and can still serve as a decoration. The rust-red color of these planters looks very natural. Small dog figures compliment the overall look. 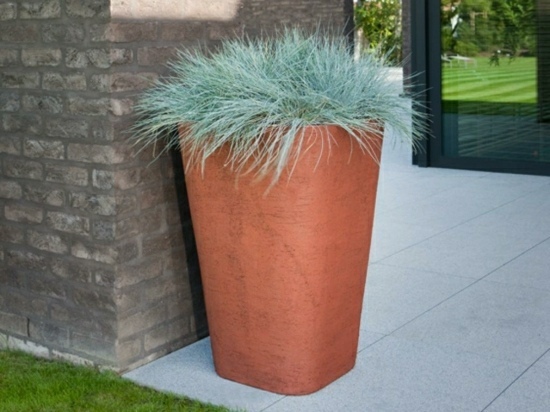 This collection of flower pots made ​​of metal is characterized by interesting ornaments that imitate a brick wall. 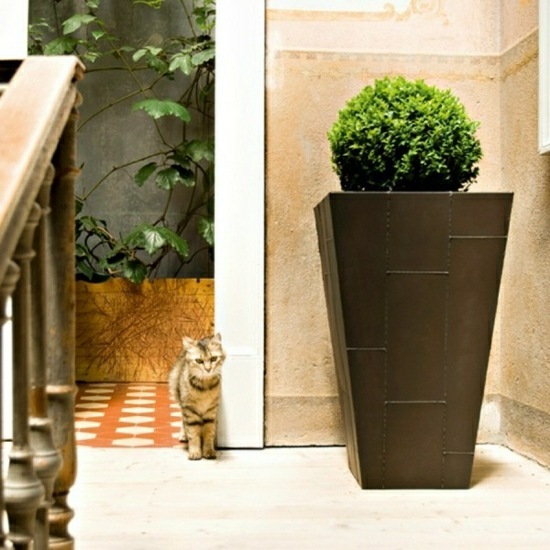 Original, decorative – the flower pots by De Castelli can be placed in front of the entrance. 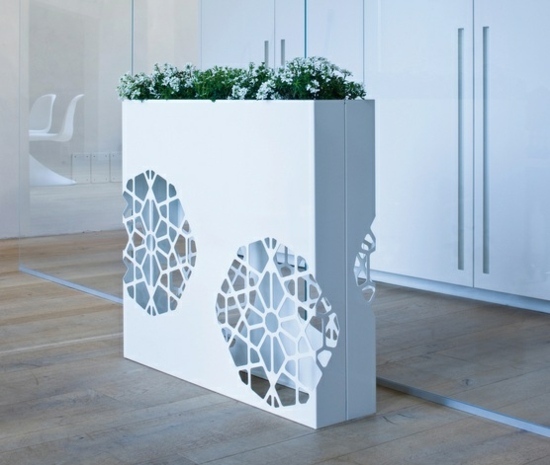 This decorative flower box has an interesting design – horizontal lines create tension and make it look architectural. Ask to thematically distinguish four of these boxes at the ends of the terrace area. 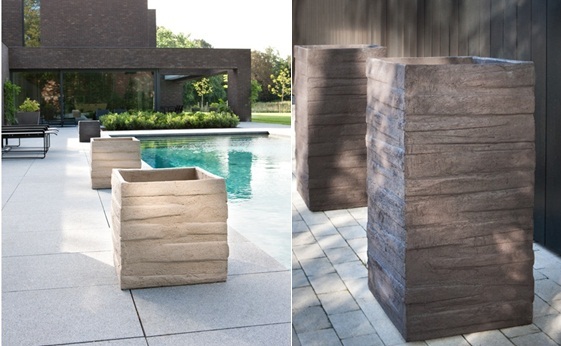 This decorative planters take up much space and are well suited in larger gardens. These colorful flower pots are illuminated by LED lights. 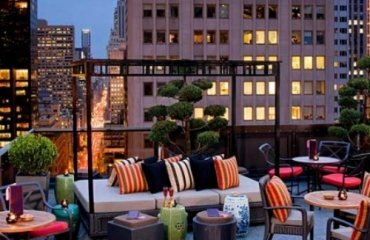 So you can have beautiful lighting in the evening in the garden or on the terrace. They are quite small and can be combined with each other. Hang this on the balcony or on the wall and thus save space. 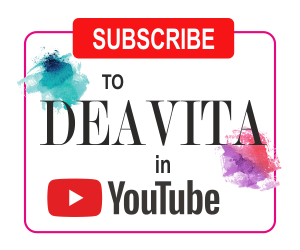 Design by Slide. These handmade ceramic vases can be manufactured according to customer dimensions. 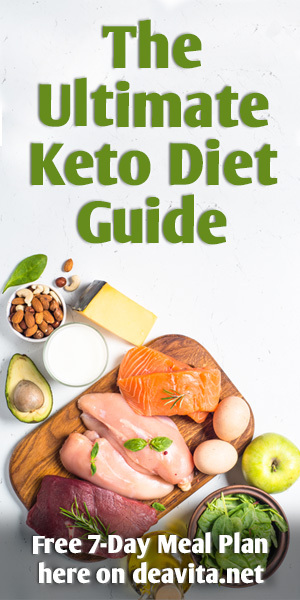 So you are sure that always have the desired size available. 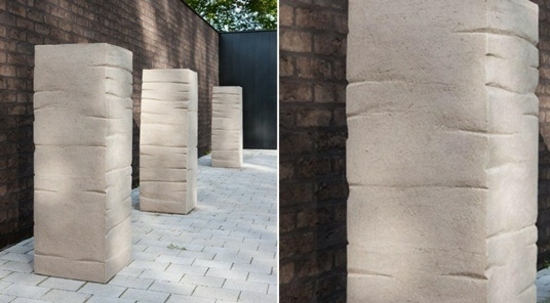 Our tip – these vases by Atelier Vierkant are great on pillars and to separate a seating area in the garden. Multi-functional and very chic, these vases by De Castelli are designed with integrated lighting. 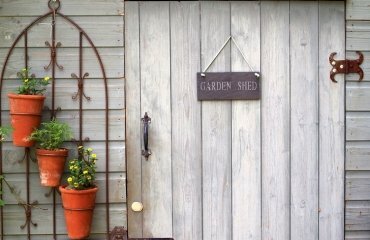 You can move them easily and use them in the garden in summer, and in the house in winter. A perfect option for balconies where space is always limited. 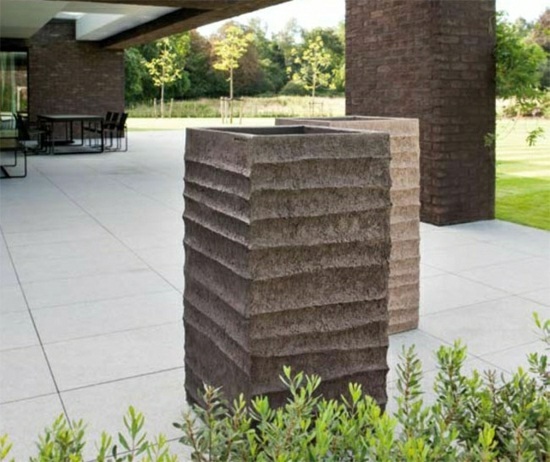 Show your creativity through this great planters made ​​of white stone. The irregular pattern make them look mysterious and architectural. Design by Atelier Vierkant.